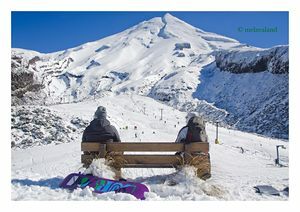 Sta nevicando in Manganui ?Grazie! 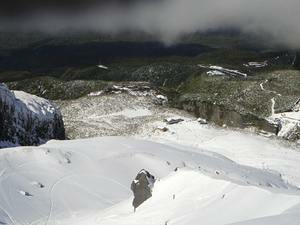 Manganui is located on the slopes of Mt.Taranaki and is maintained by the Stratford Mountain Club. 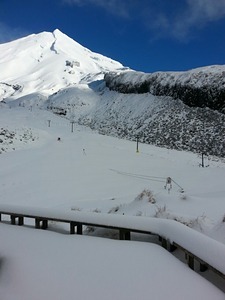 Access to the Manganui ski area is from a sealed road through Beech forest. From the carpark, one must walk to the ski field (the Flying Fox is available to transport equipment and goods). 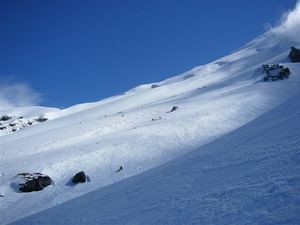 Manganui has 4 lifts, a small terrain park, and 3 natural half pipes. A family friendly field, with a little effort required to get skiing (walk of 20min, 10 min to good lift). Sealed road all the way to car park. Lots of snowboarders - in fact they tend to outnumber skiers in this surfer dominated province. 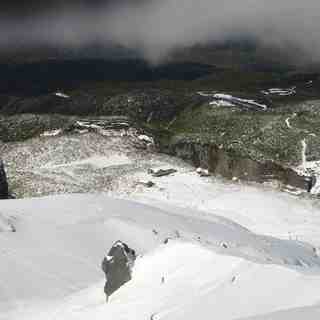 Some of the cheapest skiing/boarding in NZ - full lift pass is NZ$40! No frills skiing. Some exhilarating lines on "top-tow" when it is operating. Public Day Lodge and new Club Lodge for SMC Club members. Club Lodge is, however, open to the public for accommodation on mountain (sleeps 30) - you need to book.